@Yisela recommends Gnumeric. I would also recommend looking at LibreOffice. Create my tables in LibreOffice Writer, applying formatting such as row borders, cell spacing, and so on. Copy the table, open up LibreOffice Draw, and paste the table as a "LibreOffice Text Document" using "Paste Special". Go to File > Export and export in your preferred vector format (in the past, I've used EPS without any problems). Be sure to check the box that says "selection" otherwise Draw will export the whole page. A similar approach can be taken with charts. If you prefer to stick with Excel, at least for the charts part, you can install the "Save as PDF" office add-on and select your charts as PDF files which you can open just fine in Inkscape. For both of these options, most of the actual content editing would take place in LibreOffice or Excel. Inkscape would really be for fine-tuning the output. Finally, if you're working on a project that needs lots of tables and charts, you might want to invest some time in learning a programming language like R, with which you can generate publication quality charts and tables quite easily. Since you mention Excel, something you could do is use Gnumeric to import your .xls files into it, and from there export them as SVG. 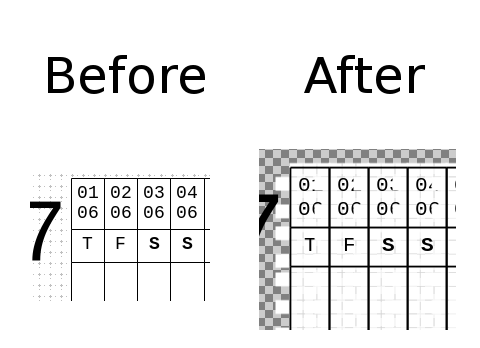 Unlike Excel, Gnumeric has more export options that would allow you to create more complex elements without having to actually draw them on Inkscape. There is also an extension for Inkscape called NiceCharts that is good for creating basic pie and bar charts. It hasn't been updated since 2012, but it seems to be working nicely. Other options are Gnuplot (a command line - with several frontends - driven interactive data and function plotting tool has SVG output for graphs & charts) and Matplotlib (a python plotting library and can also output SVG). Finally, SVG charter is a perl script dedicated to generate SVG charts on web servers. For diagrams, Graphviz can produce structural information as diagrams of abstract graphs and networks in SVG and other vector formats. Because I needed that, I've just created a small online tool generating a piechart in svg: github/svg piechart online. Later you can edit it with Inkscape opening the SVG file created. LatexIt, a component of MacTex distribution, is also a quick way to generate tables in image format, and then import into Inkscape. This is an alternative to using a spreadsheet software. Since this issue is not solved (in September 2018) I would suggest my solution which was inspired by @Ananda Mahto. Her solution did not work for me although my needs were quite simple (a couple of tables filled with results). I used LibreOffice to create the tables and decorate them as desired. Exported the document to pdf. Imported that pdf to inkscape to have a base to work with. Since inkscape support for pdf has improved over the years with the above approach I can get editable tables in my inkscape. Surely it's not integrated into the actual program but it's the best solution I came up with. Not the answer you're looking for? Browse other questions tagged vector inkscape illustration chart-design tables or ask your own question. how do I import a vector path from Inkscape into Gimp? Are zebra stripes on tables more effective than good spacing and visual contrast? How can I set InDesign top and bottom cell inset default values for Excel imported tables?